Thomas G Upholstery is a family owned business. 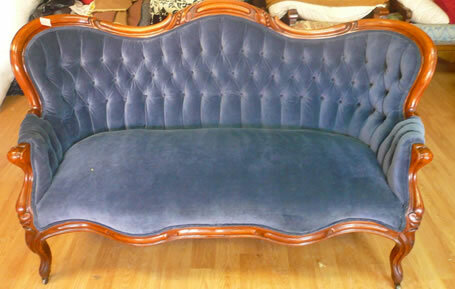 We have over 25 years of experience in furniture restoration. We pay attention to every detail of your furniture. The Thomas G Upholstery has built upon excellent and uncompromising craftsmanship in the area of custom furniture and the re-upholstery. Thomas G Upholstery is an expert at reaching that perfect balance of style and livability for your home or commercial space. You came to the right place for all your upholstery needs. Thomas G Upholstery is an expert at reaching that perfect balance of style and livability for your home or commercial space. Our upholstery services include all types of restoration of furniture like sofas, recliners, headboards, ottomans, chairs and more. Not only do we work in residential furniture but also for large commercial areas such as for restaurants (booth, partitions, dining chairs, bar stools, backdrops and more), hotels (lobby seating area, furniture, headboards), churches (pews, chairs), offices (furniture for large and small business), medical facilities, country clubs, theaters, municipal facilities and more! We have over 25 years of experience in furniture restoration. We are conveniently located in downtown Highland Park, IL on Green Bay Road. Stop by or call to discuss your upholstery requirements.